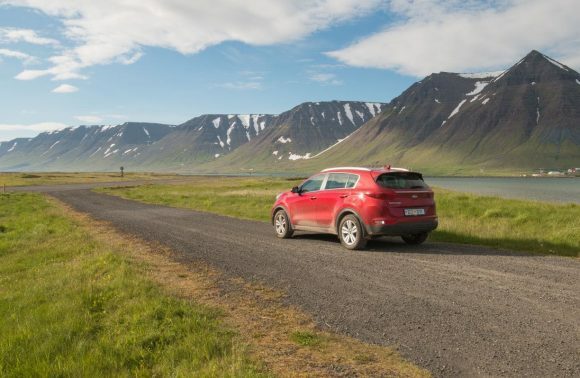 *Please refresh and check your Inbox and Spam folder within 1 minute of filling up this form, for an automated email from ” GoBeepBeep ” with the cost of the trip you are applying for and details on next steps. Always thought about learning Kung Fu but never found your “Master Chifu”, who could hone your superhuman reflexes and lightning-fast moves ? Here is your chance Panda, we are taking you on a Pilgrimage. No, Not the religious kind silly. 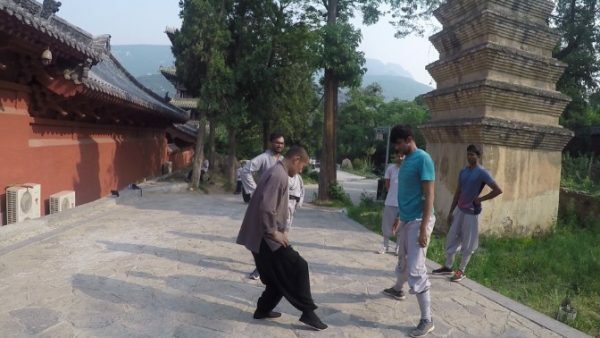 After our incredible trips to this really special place earlier in 2017, we are going back again in April, May and June 2018 to learn kung fu in China in beautiful pleasant weather. 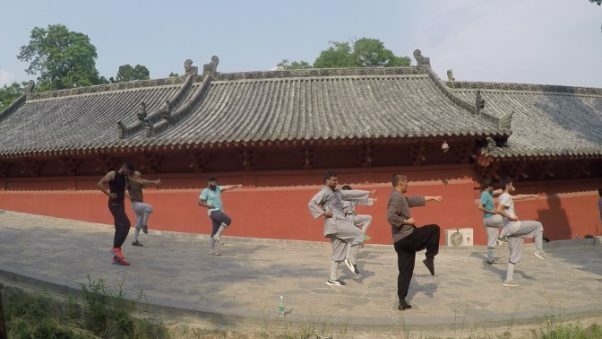 (Check out the amazing photos of our 2017 trips in the photo gallery above) And again, we are taking a few lucky folks with us to the literal home of Kung Fu deep in beautiful mountains, where you will be temporarily inducted as “Shaolin Disciples” and be a part of the legend. 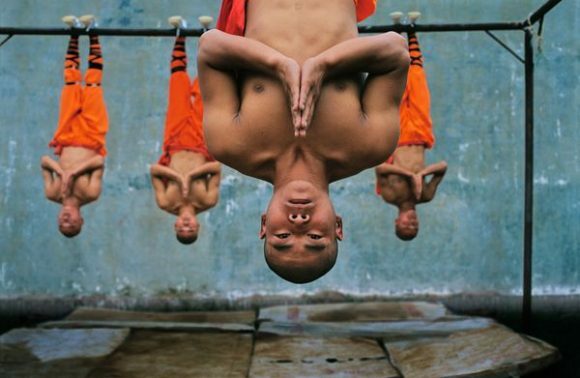 The lives of Shaolin Monks and their training has always been shrouded in mystery and to most, this will remind of the awesome movie, KungFu Panda! But we are talking about the real world and THIS, is really happening. 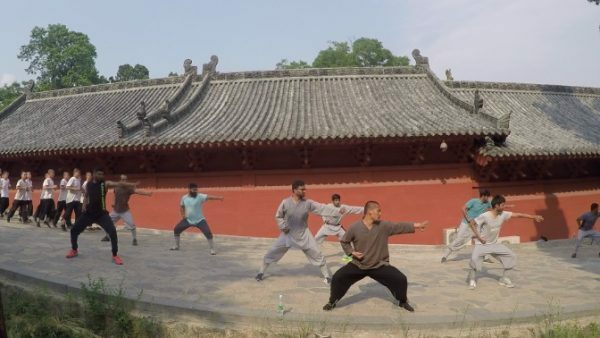 In April, May and June 2018, we have created an opportunity again for a few people to learn Kung Fu in China for one week or more if you like and to experience a very sacred Shaolin Temple which is like the University of Shaolin Kung Fu, surrounded by gorgeous mountains. 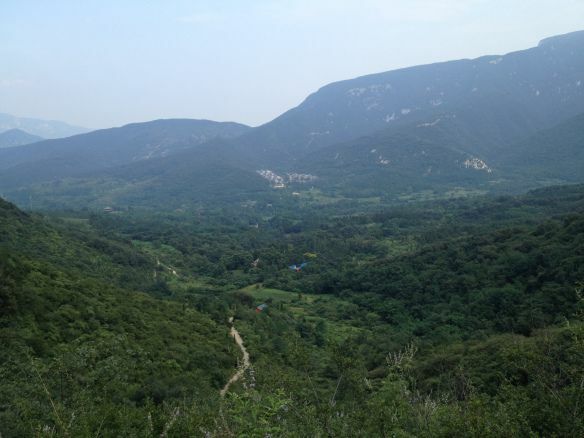 This is where KungFu originated 1500 years ago and this is where the legendary Shaolin Monks live!! In fact, the person who founded Zen Buddhism in China was an Indian by the name Bodhidharma who, also founded Shaolin Kung Fu. 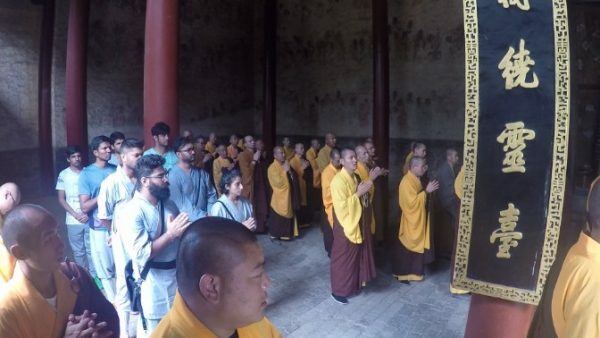 He didn’t call his new religion, “Zen,” because that word didn’t exist in China. 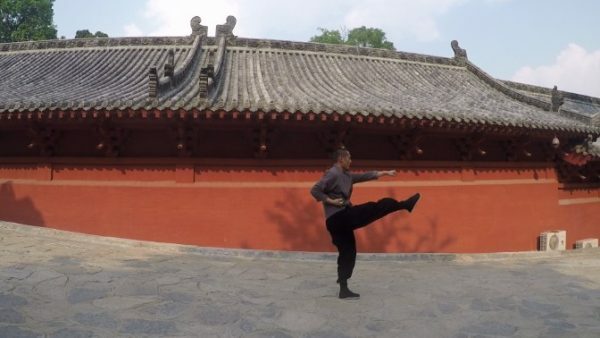 he just added Kung Fu to his Buddhism. 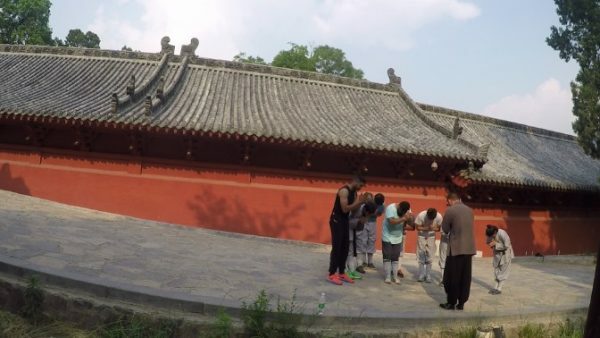 His shrine is on top of a mountain next to the 1500-year-old Shaolin temple where we will be living and training with real warrior Shaolin Monks in the flesh!! Obviously, in one week we won’t learn to split bricks into two with our hand. You will, however, LEARN THE BASICS of this mysterious ancient martial arts from true masters. 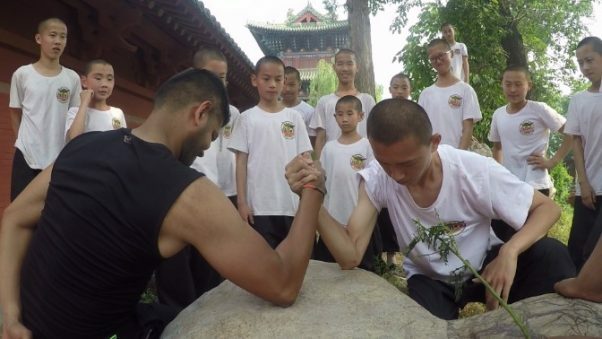 Of course, if you fall in love this amazing ancient martial art, we can arrange for you to stay at the Shaolin Temple for an extended period of time ranging from a month to a even a year if you fancy !! 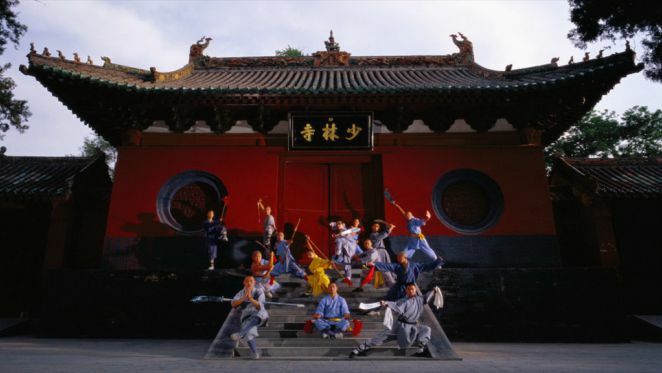 During our one week trip, we will learn Kung Fu techniques from Warrior Shaolin Monks inside the temple, whilst also exploring Zen Buddhist Meditation that Shaolin Monks practise. 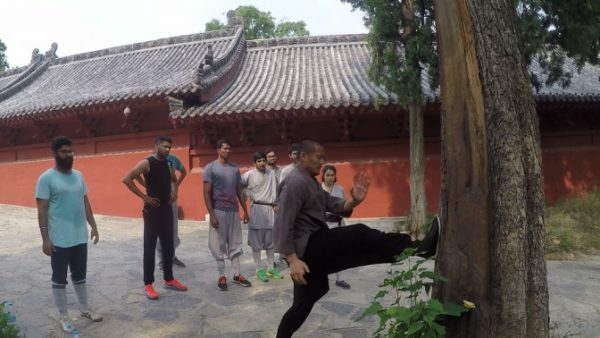 You will on a daily basis also train for strength, speed, stamina, impact conditioning and applications with their guidance along with Kung Fu lessons. 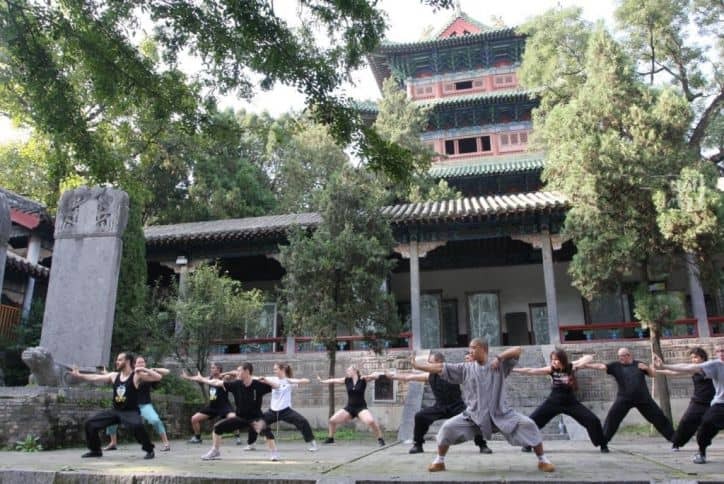 This is not just a trip to learn Kung Fu in China, we will also learn about Buddhism, the culture and even other art forms that Shaolin Monks have developed in this area over the centuries. 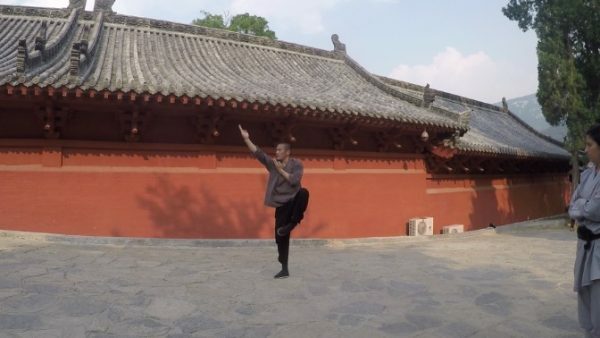 This super special journey is open to everyone who wants to come learn Kung fu in China and you don’t need any prior physical training or experience in Martial Arts. 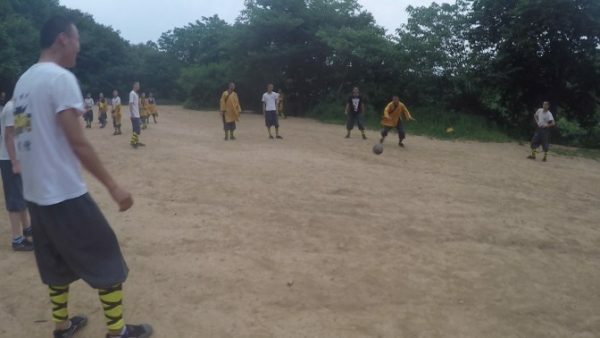 However, you do need to be healthy and have some basic fitness in place if you want to be able to keep up with the physically demanding program. You can come train with us for a minimum of one week or do an extended stay and train for up to a few months for a more immersive experience if you like! * If you are a minimum of 2 friends and the group dates below don’t work for you, send us a message when you apply and we can figure something out. 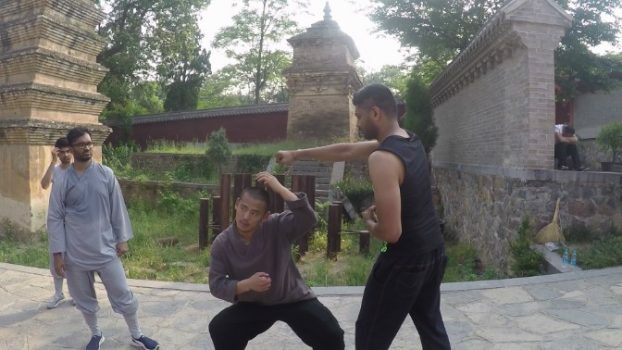 **You can choose to extend your Kung fu training with us at the Shaolin Temple for extra weeks if you like for a more immersive experience. **You can choose to extend and train for maximum one extra week after which there are no more training sessions available. 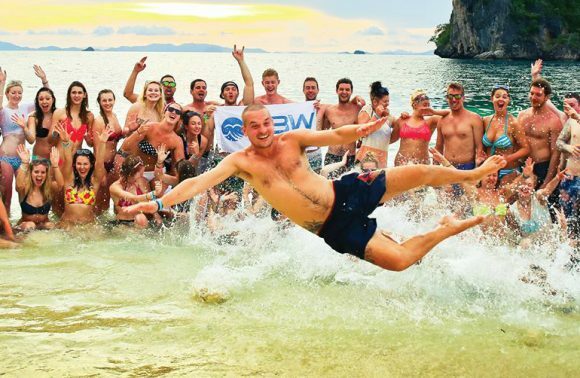 Awesome people just like you, come for our trips from various cities and countries and we don’t like for it to be too crowded. 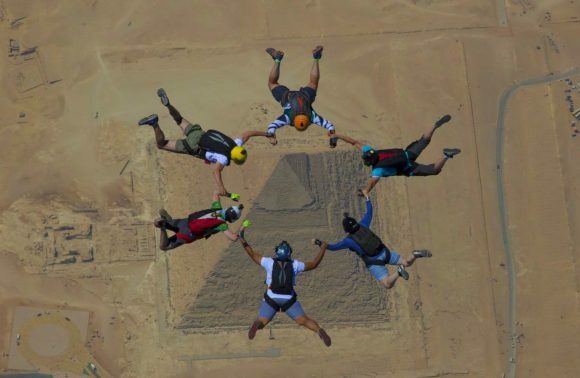 So we cap the average number per group between 8 – 12 people with a healthy ratio! 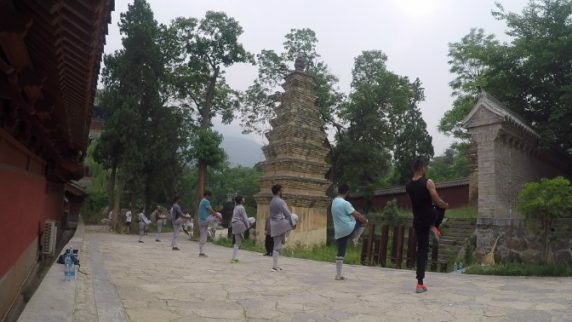 It’s beautiful pleasant weather in Late April, May and June and we are expecting gorgeous sunny days surrounded by the lush greens of the forests on hills all around the Shaolin Temple! The food is included in the package during our stay at the temple. We will be eating with other student groups from around the world at the Temple Community Cafeteria which has enough vegetarian food options, in case that is a concern for you! 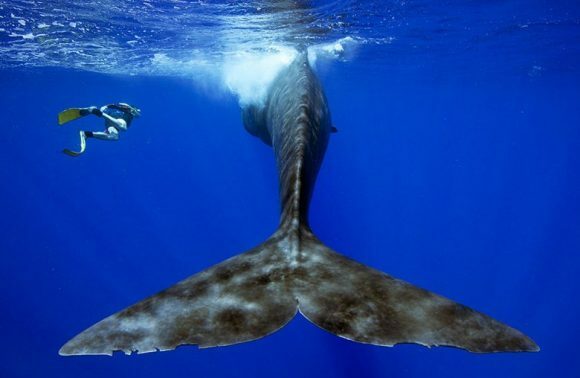 You can obtain a short-term Chinese Tourist visa in 2 – 4 days of the application, surprisingly easily. 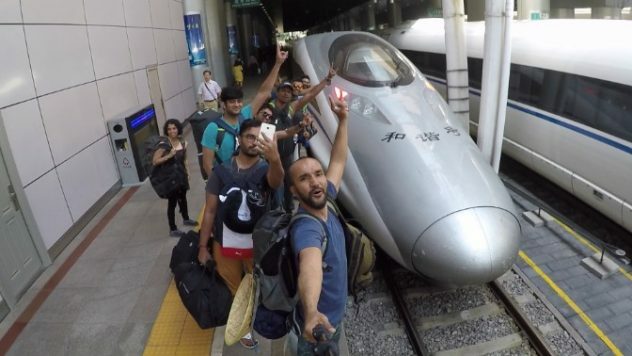 Friday: Arrive in Beijing any time and chill. Explore the buzzing locality around the Hotel, there is enough to explore walking right around our hotel for our first day.And in the night, try out some crazy Chinese local delicacies. 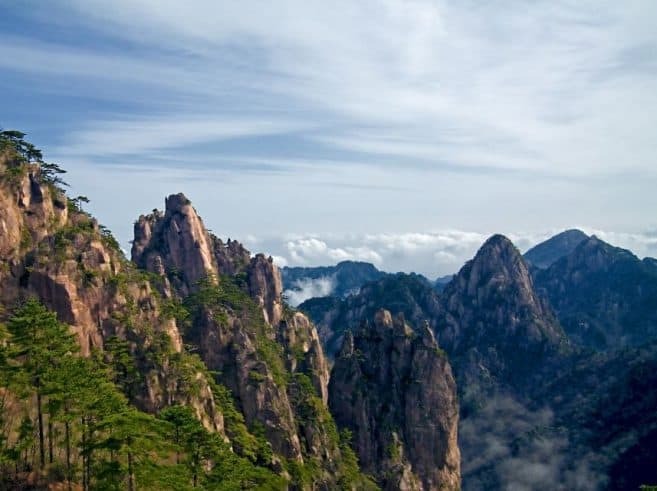 Saturday: Explore the sights of Beijing such as a trip to the Great Wall of China and check out other local places of Interest. 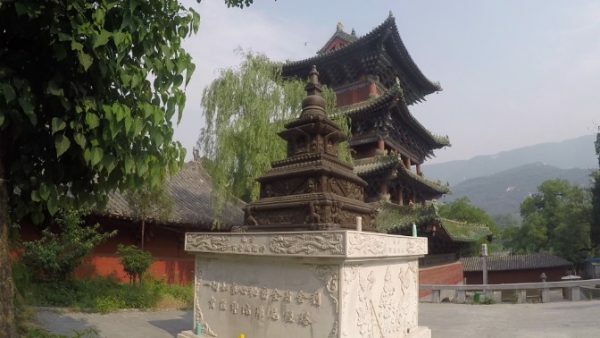 Sunday: Take a 3 Hour Bullet train in the morning to Zhengzhou and from there take a transfer to The Shaolin Temple away from the city and in the mountains. Relax and get acquainted with the Temple and its surroundings for the rest of the day. 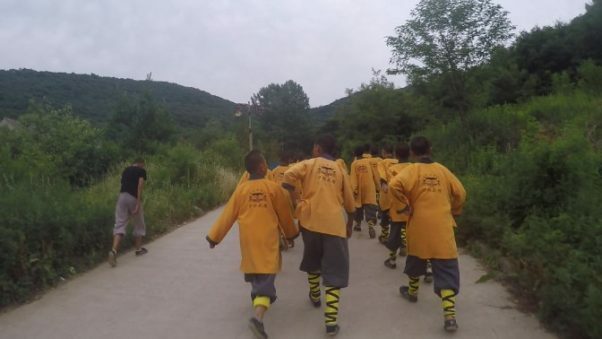 It is a really gorgeous place and you will be amazed seeing the little Shaolin kids practising their daily routines along with the Monks all around the place. Sit back and let the vibe soak in. 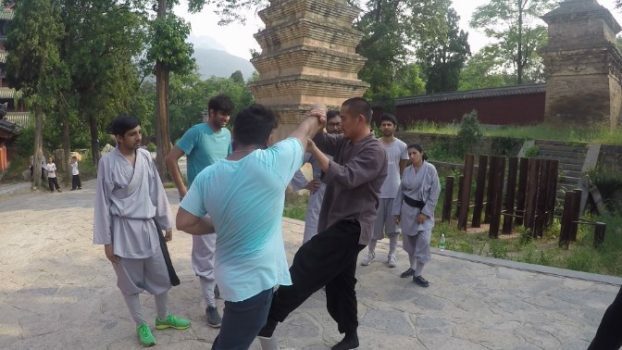 Monday – Saturday: Your training begins, daily morning and afternoon training sessions with Shaolin Monk Teachers covering various aspects of Martial Arts, Meditation, Buddhism and Culture. 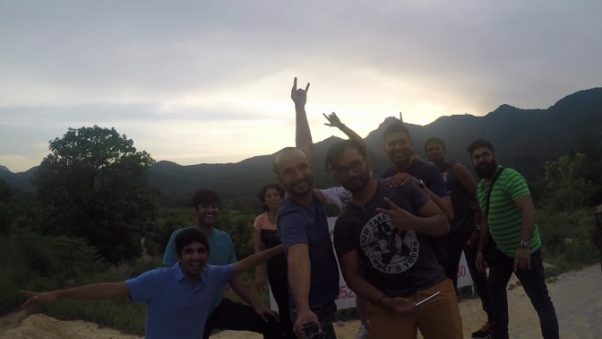 The group will also have free time to explore the beautiful mountains around the temple with stunning views.It is home to a lot of cultural and historical monuments totally worth exploring. Sunday: Return back to Beijing in the morning and head to the Airport to fly back home after that truly once in a lifetime experience. 2. 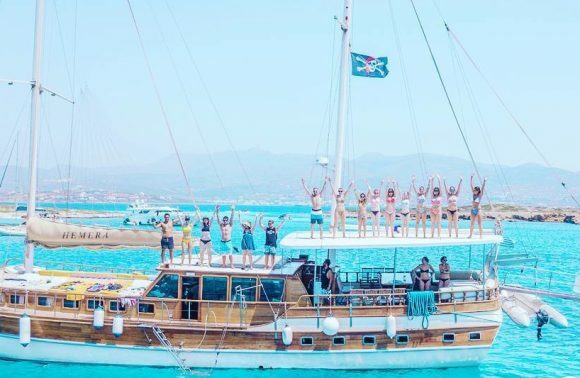 Once you have read all the details of the trip on this page and have seen the cost on that email, Reply back to that mail with your questions or confirmation. 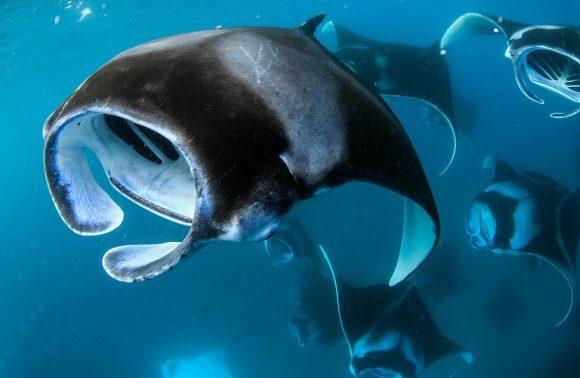 Important: If you don’t see an email from GoBeepBeep with cost details and next steps in your inbox within a minute of filling up the form, check your spam folder. 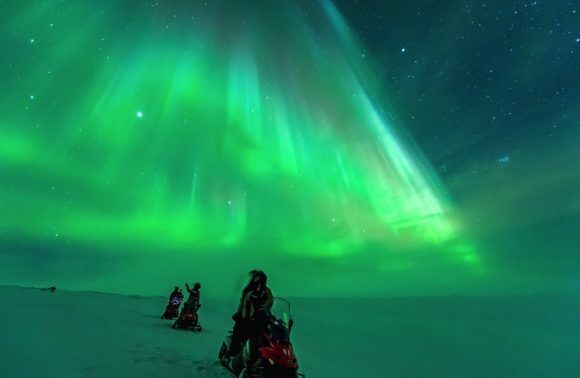 We have several other awesome trips to various countries, coming up around the same time and you can see check out the list! 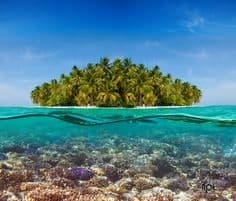 We launch awesome new unique trips every few weeks to countries around the world, to do things that most people just dream of! If you’d like to be informed…..
All you need to do is click on the button below and just type the word “Subscribe” in the Facebook Messenger Window that will open. If your are interested in exploring opportunities to work at BEEP…..
PS: We are currently looking for young interns for “Work From Home” tasks, all you need is a laptop and phone. Want us to let you know when we launch crazy new BEEP Trips next week ? Call/Whatsapp +91 – 9820-715-063 if you need to talk to us! Live Chat by clicking the Messenger link below and type “Help”!